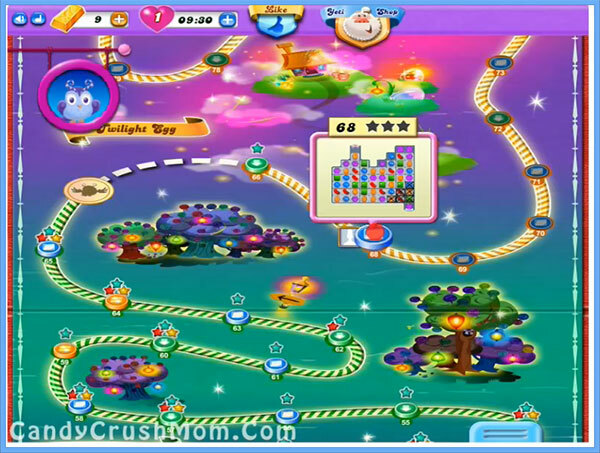 This level is again hard and same candy board to normal candy crush saga and have 54 jellies with six in grill blocks. To break all jellies you need to first break all grill blocks specially the last bottom right grill so it will let candy board to fill from left side. You should also try to make special candies and break with normal candy if have chance to unbalance the Odus owl. As moon will struck it will help you to break all jellies plus will give chance to make more special candies that you should use to combine with other special candy. You should also remember to balance the Odus owl plus don’t waste move in breaking just normal candies else if you don’t have choice. We completed this level with 235440 score and luckily get single colorbomb that help to break all jellies before six moves.